Project configuration allows you to configure properties on per-project basis: connection to CloverDX Server and files that should not be synchronized. The per project configuration can be changed from the main menu under Project → Properties item. 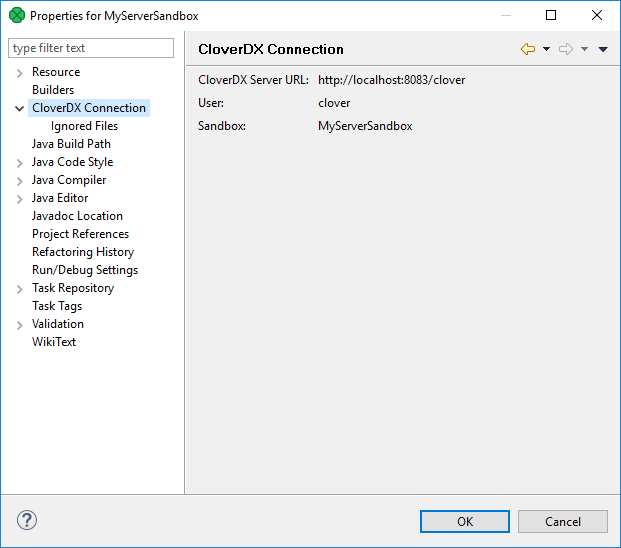 This window displays the configuration of connection of the current CloverDX project: you can view the CloverDX Server URL, user, and sandbox. This window serves to inform you about the project configuration. 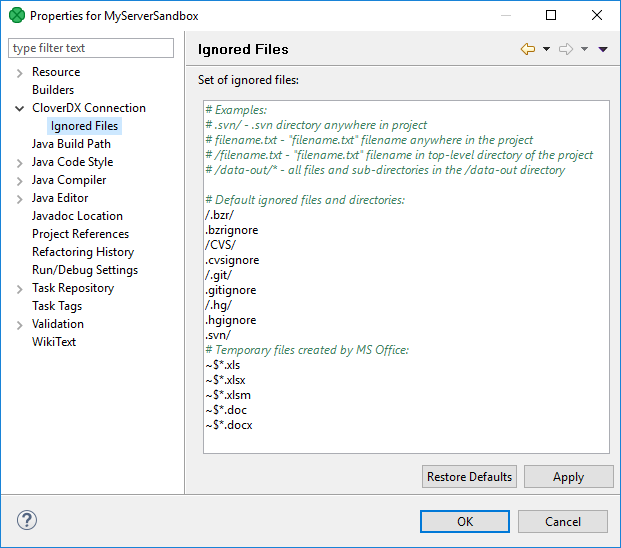 Ignored files allows you to avoid synchronization of particular files. This is a per-project configuration of ignored files. See Ignored Files in workspace configuration.